Here is a beautiful "sorry" card to send to your friend, love and family. 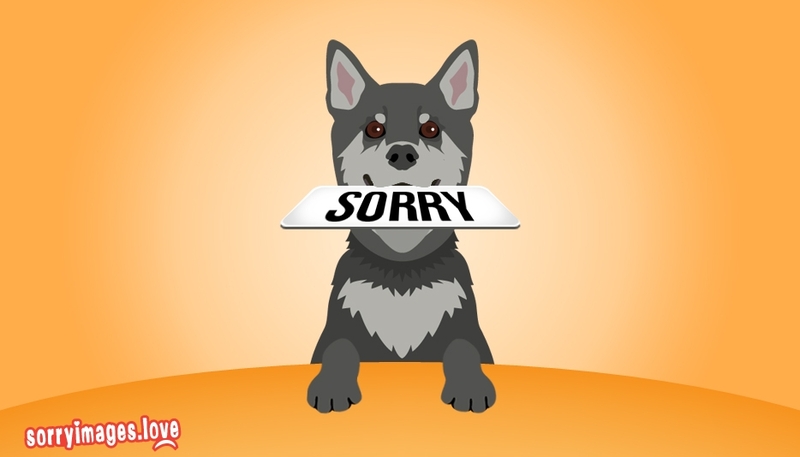 The card here depicts a cute puppy carrying a note "Sorry". As your friend, love or sister or brother, loves pets, especially puppies, send this card to him or her and ask your apology. Asking sorry makes things straight and heals the hurt. Making mistakes are common and usually unintentional. Relationships are based on understanding each other and the trust upon each other. You could bring back your relationship to normal by sharing this card and asking your apology.